Welcome to my website, the ‘shop window’ to the full range of my work – past, present and future. 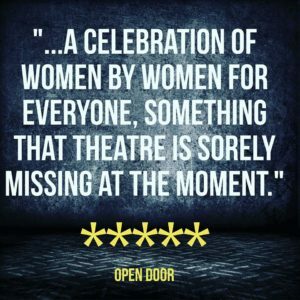 Like any good store, it’s divided up into specialist ‘departments’, to make it easier to have a browse in your area of interest, whether you’re an audience member, reader, participant, funder, venue or producer. 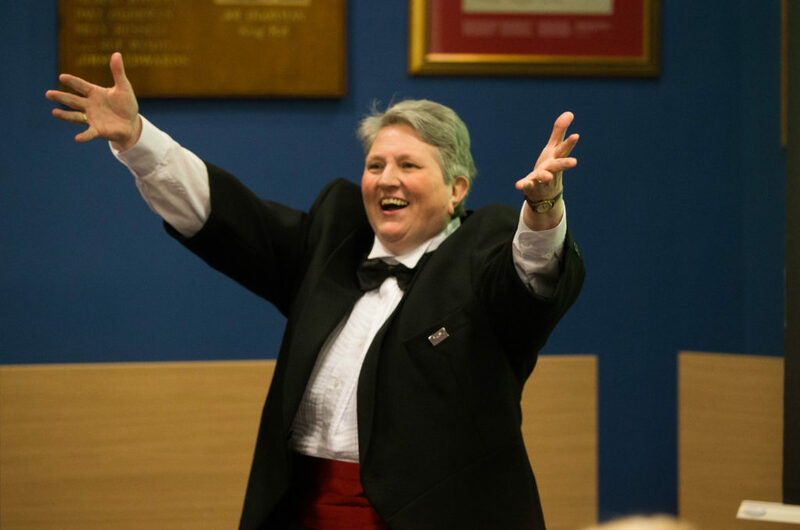 I am a nationally and internationally critically acclaimed performer, author, playwright, singer, musician, historian, producer, workshop leader and journalist. Originally from South London, I’ve lived and thrived in various parts of Sussex since 1997. My work spans four decades and now includes full-length and short biographies, stage plays, social and cultural histories, journalism, short fiction, online content, exhibitions, lectures, apps, workshops, literary talks and educational tours. 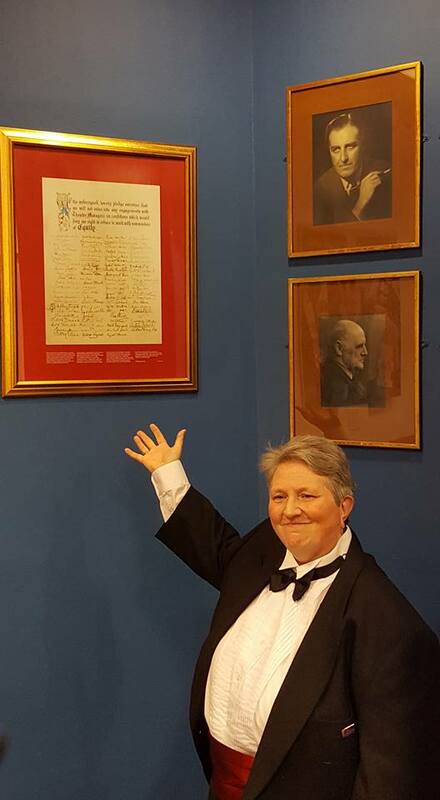 I’ve worked in a diverse range of disciplines involving partnerships with arts organisations and venues, libraries, community groups, museums and publishers. 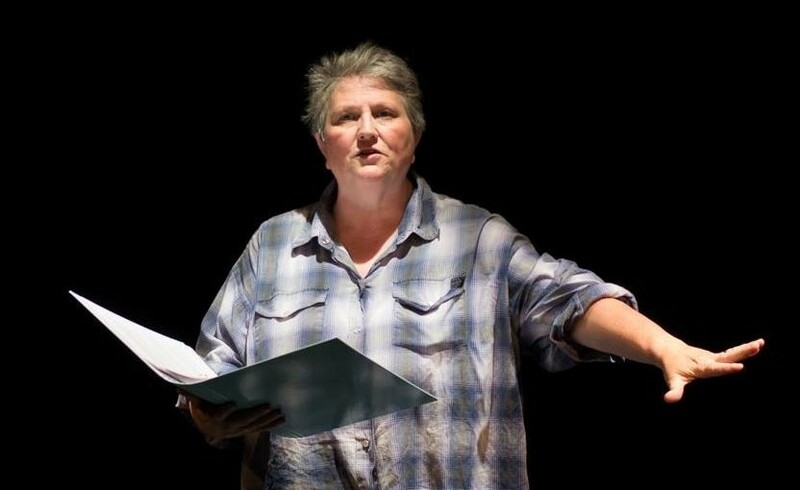 My artistic intention is to combine my performing and writing skills to produce for myself and other performers a range of engaging and entertaining ‘literary’ stage work which introduces audiences to, and explores, the lives of overlooked LGBT/female figures. The ideas for the next three shows I would like to develop will feature only female and/or lesbian characters. 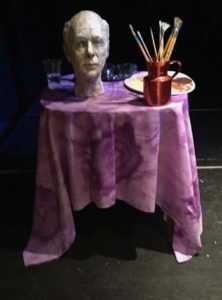 My theatre work also benefits from my distinctive ability to create and deliver original and popular public engagement events which can be undertaken in parallel with stage work or independently. Since 2012, I have garnered a national and international reputation as a stage artist who writes, performs and produces high quality work. 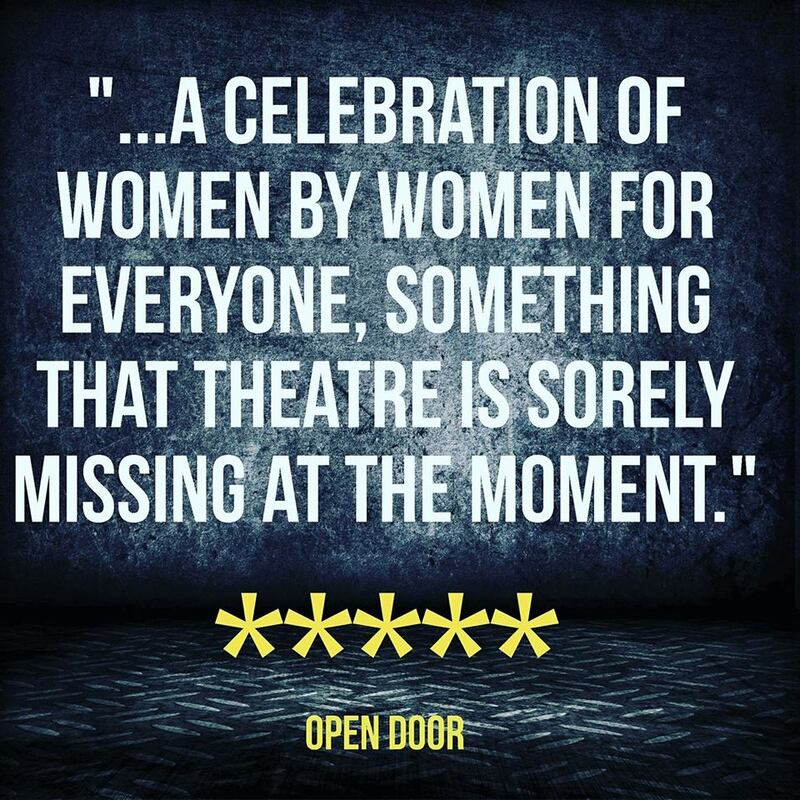 This has been achieved without the support of any mainstream theatre venues or producers, and without any regular income or guaranteed funding, or any commercial sponsorship. 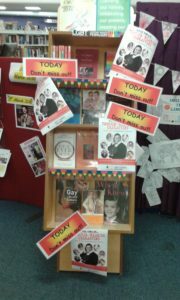 My diverse public talks and lectures have included sell-out events at the V&A, Royal National Theatre, Equity, National Film Theatre, National Portrait Gallery, Edinburgh International Book Festival, Gladstone’s Library, Brighton Museum, Brighton Festival, New Writing South, Polari (South Bank) Bishopsgate Institute, West Dean College, Charleston Trust, Wigtown Book Festival, London Metropolitan Archives and public libraries in London and in East and West Sussex. 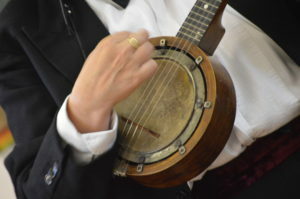 In August 2015, I was appointed the first Writer-in-Residence at Coleridge Cottage by the National Trust and Literature Works for the Writing Places project. 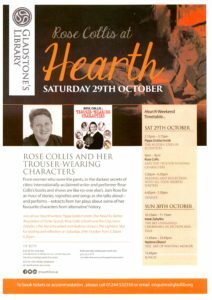 In 2015, I was shortlisted for the Gladstone Library Writers-in-Residence 2016 programme and awarded an honorary scholarship and featured in the literary festival, Hearth. I have been a four-time recipient of Society of Authors’ awards for biographical research. In February 2018, I was shortlisted for the post of Inn Crowd/Kent Downs Writer/Performer-in-Residence. 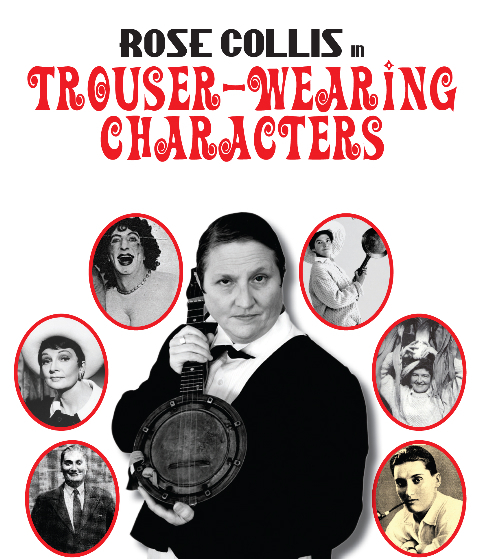 In May 2012, with a only a few hundred pounds’ worth of crowd-funding, I created Trouser-Wearing Characters, the first solo musical cabaret show written and performed by a female author. 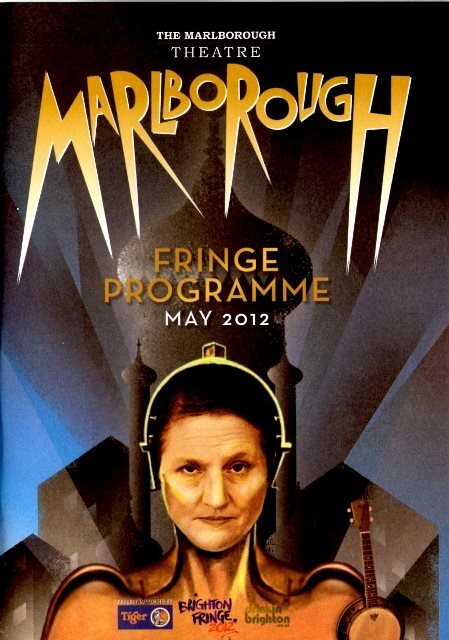 Launched at the Brighton Fringe 2012, it was an immediate public and critical success. 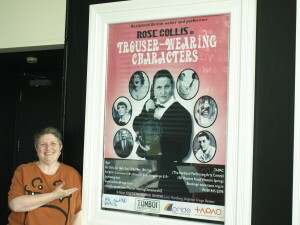 Since then, the show has appeared at festivals and venues throughout the UK. In spring 2013, it completed a triumphant five-week tour of four major arts festivals (co-produced by Tomboi) in New Zealand and Australia: Auckland Fringe, WellingtonNZ Fringe, Sydney Mardi Gras and Adelaide Fringe — the second biggest arts festival in the world. In February 2016, Arts Council England funded the show’s first-ever regional tour of performances in public libraries. It continues to tour. In November 2014, I received my first ACE funding to write and produce Not Wanted On Voyage, a new two-hander about gay 50s media personalities, Nancy Spain and Gilbert Harding. 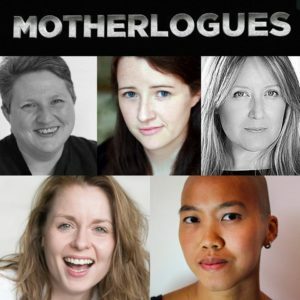 It was given two hugely successful professional semi-staged readings at the Marlborough Theatre, Brighton, and Bread & Roses Theatre. 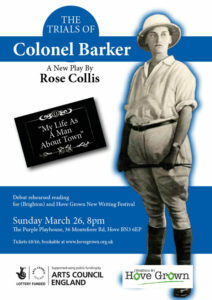 My ACE-funded solo play, Wanting The Moon, about Clemence Dane the ‘invisible woman’ of 20th century British culture, was successfully previewed in early 2016 at the Marlborough Theatre and Arundel Jailhouse. 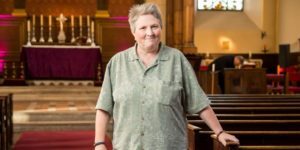 It enjoyed a successful London run at Bread and Roses Theatre in September 2016, and plans are now underway for it to tour in early 2019 with a re-tooled script. 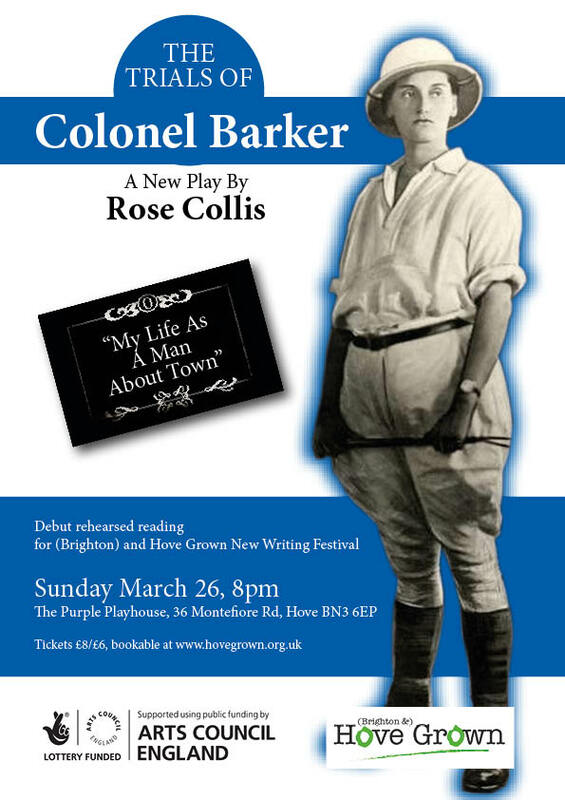 My latest ACE-funded work, The Trials of Colonel Barker, is my first two-act stage play inspired by my critically acclaimed book Colonel Barker’s Monstrous Regiment. 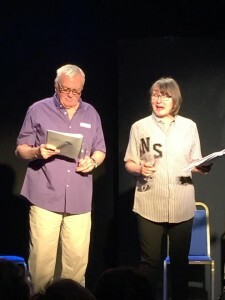 It made its world premiere with a very successful one-off rehearsed reading as part of the second (Brighton and) Hove Grown Festival in March 2017 and has now been submitted to a number of producers and competitions. In August 2017, I joined the cast which co-devised and acted in the third edition of Motherlogues by Forked Theatre. 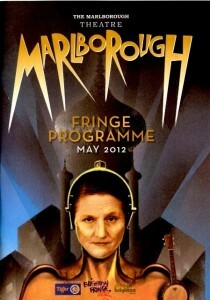 The show received five and four-star reviews at the Camden Fringe Festival. 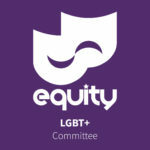 I am a member of Equity, Society of Authors and Sussex Playwrights. In June 2017, I was elected to serve on Equity’s national LGBT+ Equalities Committee until 2019.